The corners and perimeter of your roof are very exposed to the weather, particularly high wind pressures. In fact, most wind damage begins along these vulnerable edges. If even a little bit of the roofing material becomes loose, the wind can easily get underneath it and begin pulling it up. So the process continues to worsen as the wind is able to loosen more and more roofing material with time. Though it starts off small, it will eventually become an extensive problem through repeated wind exposure. And once the roofing material is peeled away and the insulation is exposed rain will make its way into your home through leaks, further increasing the severity of the damage. You can prevent this by securing the roofing materials on the edge and corners of your roof and making sure they are sturdy enough to withstand high-speed winds. If you're too late to take precautions and have already experienced a few storms, you'll want to check your roof for any damage it may have experienced. Perform both outdoor and indoor inspections. Check your yard for any loose roofing materials, and look up on the roof for any missing or damaged shingles or tiles. The chimney, gutters, ventilation/exhaust pipes, and fencing can also be affected by a storm. Inside, check your attic for leaks, damp rafters, and moist rafters. Also, inspect your walls and ceiling for any obvious water damage and bubbling/peeling paint, and keep a watch for unexplained rises in your energy bill. All of these are signs of a compromised roof. You should avoid going up on the roof yourself, though. Take the safe route and contact a professional roofer if you suspect your roof has taken storm damage. 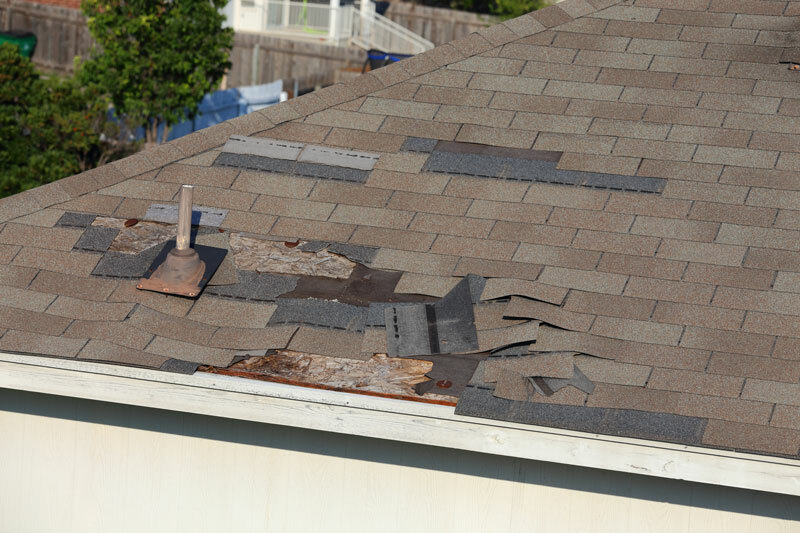 If after checking your roof you find that it has damage from a storm, it's important to get it fixed quickly. Determine whether the damage is large enough to call your insurance company or small enough for a contractor to suffice for repairs. Also, contact your insurance agent to see whether or not you'll need to file a claim. Make sure you keep all receipts for the repairs, including any done by yourself for reimbursement, and carefully document all damage that you find. Many policies can cover your restoration expenses if you decide to submit a claim. It is vital that you get help as soon as possible if you suspect your roof has been damaged by a storm. The longer you put it off, the more chance there is for the damage to worsen and become more expensive or time-consuming to fix as leaks start to form. As soon as you guess that there could be damage to your roof, call an experienced professional. Do you have any questions or concerns? Disaster Professionals offers 24/7 wind damage cleanup and disaster response experts who can answer any questions you may have. We're happy to help!